If you've been following the @52quilters Instagram, you've already gotten something of an introduction to me, but I figured I should finally follow up and say a bit more about myself! I just cut my hair (I lost eight inches of hair! 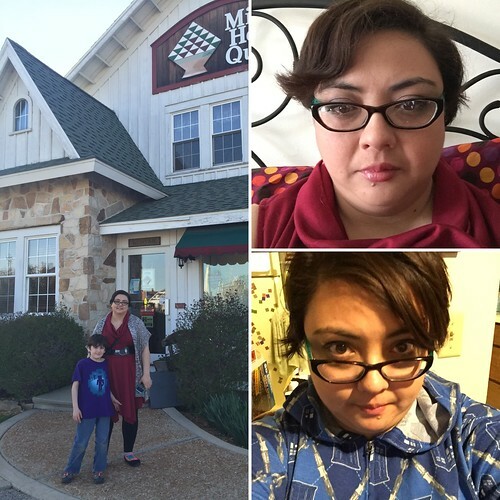 ), so all the pictures I've taken for @52quilters are the most recent images I have of myself! That photo? 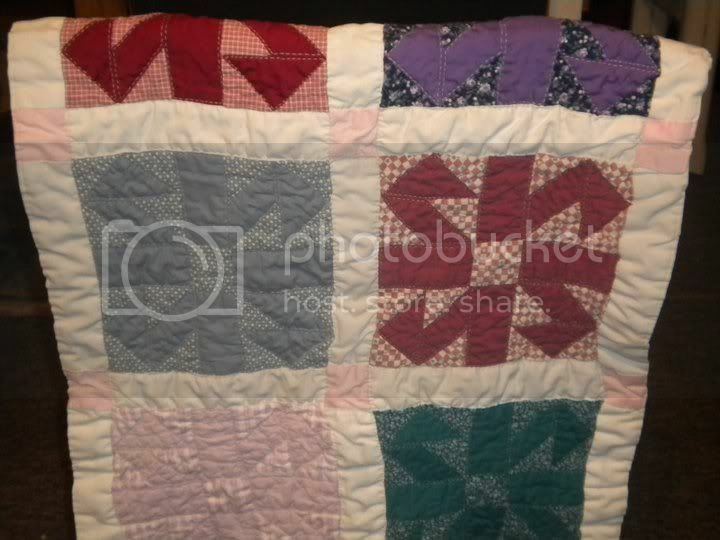 My friend took a photo of that first quilt just a couple of years ago. That baby quilt has warmed four of her babies, and she still has it! I've come a long way... I'm married, have a kiddo of my own - that's Zebediah. He's eight, wonderfully insane, and is on the autism spectrum. I'm owned by two cats, Demon and Angel. They're sisters, but people usually only see Demon. Angel likes to hide in my closet. Quilting-wise, I've converted to rotary cutters and machine piecing and quilting. My tastes have evolved as a wider range of fabrics have become available. I still do a lot of traditional piecing - my brain just isn't structured for improv or wonky, and I'm okay with that. I've just recently become addicted to EPP. I took a new job that requires an hour's commute to and from work each day. Rather than waste the time with involuntary naps, I'm stitching. By hand. Who'd have thought I'd return to my roots? 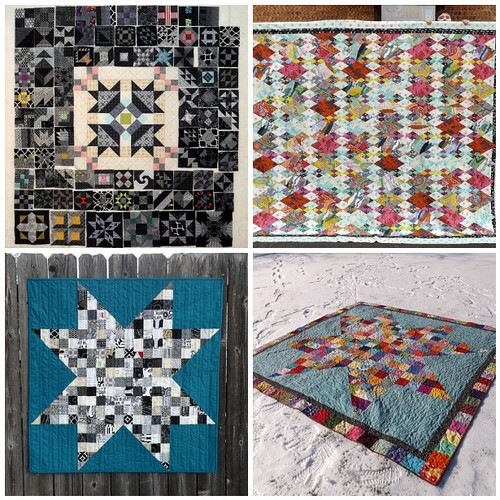 I keep a blog at https://greycatquilts.com/, post semi-regularly on Instagram @grey_cat_quilts, and still maintain a Flicker account, for storing all my quilty photos. Look for me to post here again, later this week. I'm going to share my sewing space and fabric storage!